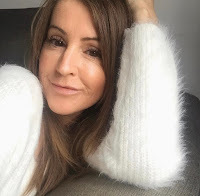 You can't beat an at home pamper session and I love a face mask as much as the next girl, taking time out for yourself to relax and refresh is the best isn't it? Unless you can afford a spa treatment, then I guess that's actually the best, but hey ho! I use a face mask on a regular basis, most definitely once, maybe even twice a week, and there are plenty out there that I 'like', the odd one I've purchased again, others not at all. 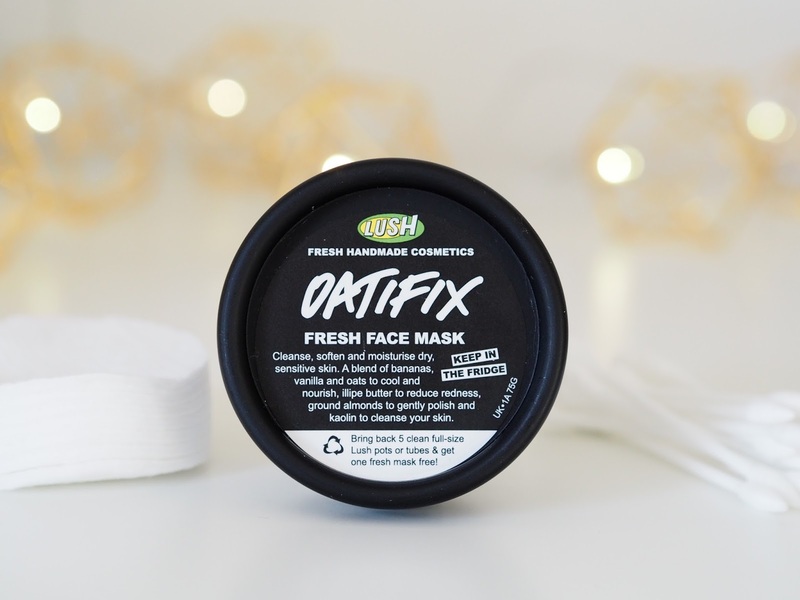 The Oatifix fresh face mask from Lush, I LOVE and I don't say that lightly. My God it's amazing. I'm constantly chunttering on about how bad my skin is at the moment with spots galore, but not only that, it's become dehydrated too, I call my face confused, bit like myself half the time, and it needs help! All hail Oatifix, my knight in shining skin armour. It's made with totally fresh ingredients making it gentle and nourishing. 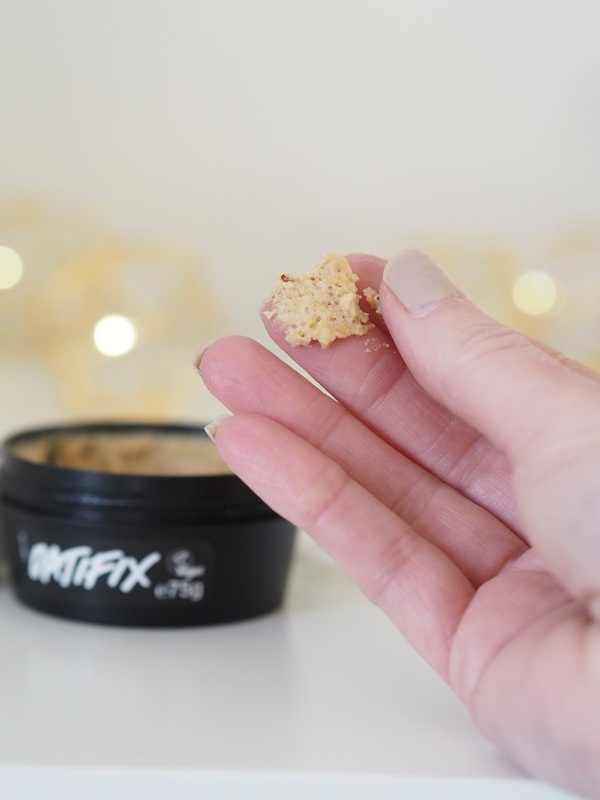 The ingredients include fresh bananas and illipe butter to moisturise and oatmeal, ground almonds and kaolin to gently exfoliate. You need to apply a generous layer to your face and then chill out for 10-15 minutes, preferably lying down chilling so you don't scare the neighbours. Wash off with a face cloth and warm water. I'll be honest it's a messy one to take off, leaving bits of oatmeal all over the shop but that will never stop me using it. It leaves my skin so damn soft it's incredible. I tend to use mine in the evening and the next day my skin is radiant, glowing and super hydrated, I noticed a difference from the first time I used it. Seriously though I love this mask sooo much and don't want to be without it now. I wouldn't have bought one of their fresh masks if it wasn't for the fact that I got it for free! The deal is if you take 5 full size empty pots back (of any product) you can choose one from the selection of fresh masks. I'm so glad I did and the staff are always so knowledgable and help you choose the right one for you. Nearly all of their fresh masks need to be kept in the fridge, because their ingredients are so fresh and active you don't want them 'going off'. For that reason the pot is quite small but it will last you around 3 weeks, just make sure you use it all up before you end up throwing it away. I'm kind of addicted to mine so that won't happen. 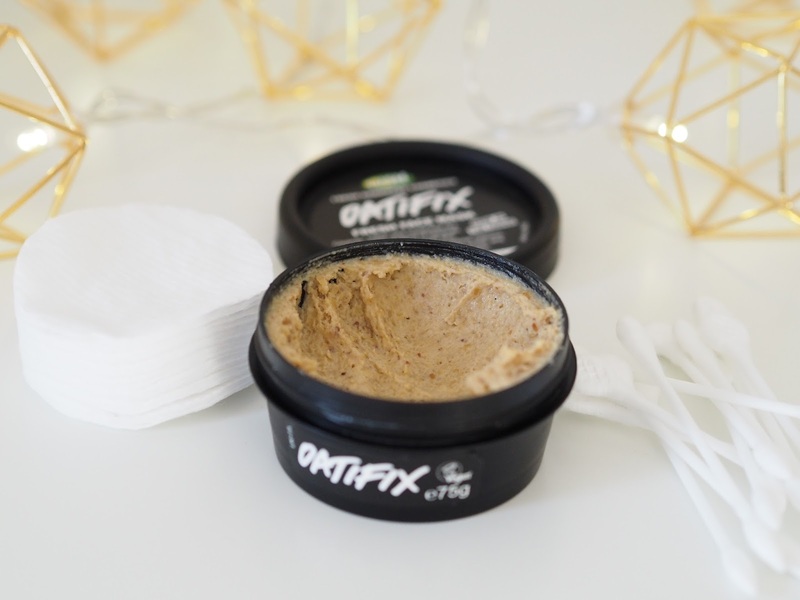 If you have dry or dehydrated skin then you need Oatifix in your life. You can thank me later. Do you use any of the Lush masks? What's your favourite? Ooo I like the sound of this one! My skin definitely needs some help at the mo!! This seriously is one of the best face masks I have tried in a long time. Give it a go.